Most UF College of Journalism and Communications majors measure their success by achievements in communication fields. But for some, like NBA All-star and CJC Telecommunication major Al Horford, success is measured in championship seasons. And by that measure, Horford has had a remarkable career. Horford was part of the “’04s”, the Gator basketball team – including Corey Brewer, Joakim Noah and Taurean Green — that won three straight SEC Championships from 2005-2007 and back-to-back national championships in 2006-2007, becoming the first team to repeat since the Duke Blue Devils accomplished the feat in 1991-92. He was drafted in his junior year by the Atlanta Hawks where he played from 2007 to 2016. He was then traded to the Boston Celtics, which made it all the way to the conference finals before being defeated in seven games by LeBron James and the Cleveland Cavaliers. Along the way, he was selected as an NBA All-Star five times. Horford grew up in the Dominican Republic watching his father, Tito, play basketball in the NBA and internationally in places like France and Italy. He first discovered the sport at around age six idolizing players like Tim Duncan and Grant Hill, along with his father. At age 14, his family moved and settled in Lansing, Michigan, where Horford became a top player at Grand Ledge High School. While there, he was a four-star recruit and received offers from big-time programs in college basketball. But, a visit from Florida Basketball Coach Billy Donovan and Assistant Coach Anthony Grant, ultimately convinced him to accept an athletic scholarship to play for the Gators. 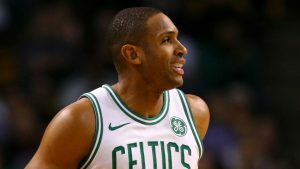 Horford said he felt a connection with them during their meeting with his family. “Just out of that visit, I just felt like we had instant chemistry between the three of us,” he said. Amid all the success on the court, Horford was also focused on his studies and classes, particularly those related to his major: Telecommunication. 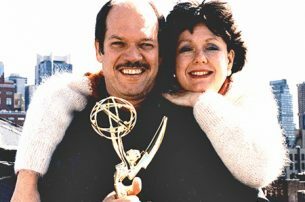 He attributes much of his interest in the field to his mother’s work as a sports journalist in the Dominican Republic. 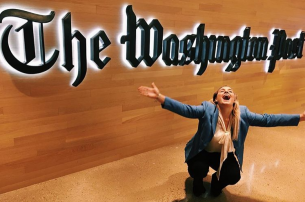 “Growing up in the Dominican, I was always along with her covering different types of events, from basketball to baseball and motocross and volleyball. You name it,” he said. Horford was fascinated by her work and being on camera. But once he came to UF, he said his interests shifted more toward the production and off-camera side of things. At CJC, he explored his interests by taking a production class in which he was assigned to create a short film with a group. “That’s when I realized that I actually liked being behind the camera and working the camera and lighting and angles,” he said. Though Horford may lean toward working “behind the scenes,” he put his on-camera skills to the test while working on air for Telemundo during the 2008 Olympics. “Everyone I’ve talked to has said, you know, you’ve got to get in front of the camera, you’ve got to kind of do that, but I’m still trying to figure that out,” he said. Fittingly, Horford and Brewer were both selected in the Top 10 of the 2007 NBA Draft, following their junior season. 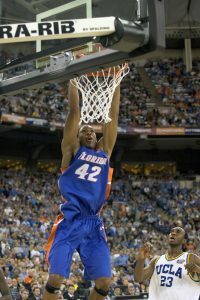 Though he went off to focus on his professional career with the Atlanta Hawks, Horford returned to UF to take a few courses during the following summer. He said he liked how the College was accommodating and flexible in assisting him. Horford hopes to one day finish his degree, preferably at UF. Whatever he chooses to do after he retires from basketball, Horford credits CJC with providing him the education and skills to pursue a variety of exciting paths.